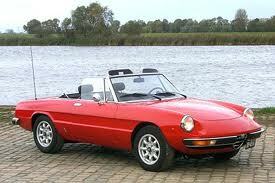 Alfa Romeo is one of the most historic car brands in Italy and in the world. Some models, such as the Alfa Romeo 1600 Spider Duetto and the Alfa Romeo Montreal, represent a real cult for collectors and enthusiasts of fine cars. We of Autoricambi Autoepoca cultivate a passion for Italian cars. Over the years we have been recognized as a specialized and reliable vendors in Europe and the world, representing a very important landmark in the search for Alfa Romeo parts. Each of our pieces is guaranteed and 100% original, the quality for us is a standard of living as well as sales. You just have to search for your Alfa Romeo parts.